We have bad news for Seattle commuters. If you thought it was taking longer than ever to get to work, a new study shows you are correct. The Washington State Department of Transportation recently released its 2017 Corridor Capacity Report (2017 CCR), which says that congestion on the five freeway corridors they monitored was 22.3 percent worse in 2016 than in 2014. What is Causing the Increased Traffic Congestion? There were more licensed drivers (4.3 percent more) and more registered vehicles on the road (3.2 percent) in Washington in 2016 compared to 2014. Not surprisingly, these factors led to 4.8 percent more vehicle miles traveled (VMT) in 2016 than in 2014. The silver lining is that, according to the 2017 CCR, the increase in VMT is likely due to lower gas prices and the state’s growing economy, better job market, and larger population. On the other hand, many people are buying houses outside of the cities because the housing prices in Seattle have increased so much. 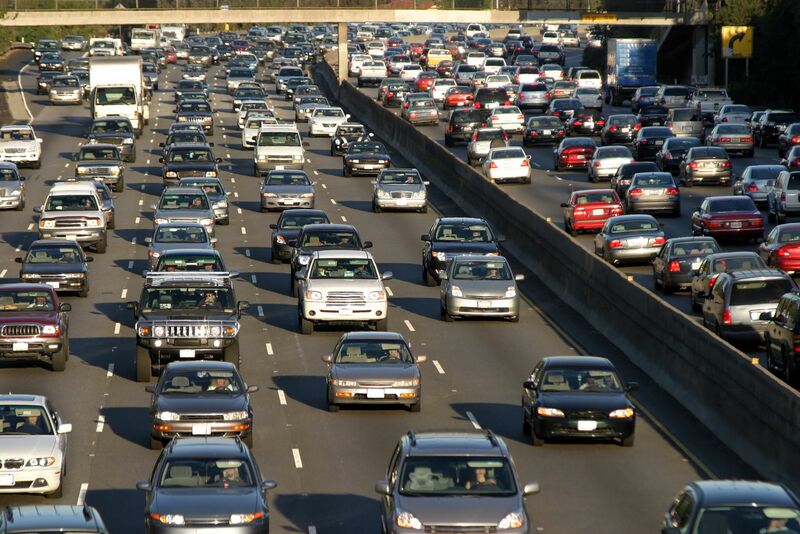 Living outside of the urban areas increases the number of miles people have to commute to get to work. Are the Transit and Ferry Systems Helping Traffic? Transit ridership is up, which is a good thing. If we did not have the transit system, our freeways would need more lanes to handle the vehicle traffic of all the people who use transit for their commutes. More people are also taking Amtrak and the WSDOT ferry system. This increase may be the result of Amtrak improving its on-time performance and the ferry system slightly increasing its trip reliability. How Do Jobs Affect Traffic Congestion in the Puget Sound Region? People in the outlying communities have to drive more miles and spend more time on the roads to get to work than people living in urban areas. For example, if you live in King, Pierce, or Snohomish counties, you can reach an average of about 670,000 jobs within a 30-minute drive at typical speeds. In the Puget Sound region, people living in King County are the most fortunate when it comes to available jobs. If you reside in downtown Bellevue, you only have to drive 30 minutes or less to get to one of 1.3 million jobs. Eighty percent of the locations with the highest number of jobs are in downtown Seattle or near the University of Washington campus. At the other end of the spectrum was rural Snohomish County near the national forests. The Puget Sound areas with access to the lowest number of jobs are in eastern King, Pierce, and Snohomish counties in rural areas. People living there have to drive much longer distances to get to jobs. How Do the Interstate 5 Corridor 2016 Commute Travel Times Compare to 2014 Travel Times? Every stretch of roadway measured from Everett throughout Seattle to Federal Way was slower during morning and evening commutes in 2016 than in 2014. For example, the average morning commute time using the general purpose lanes from Everett to Seattle took five minutes longer in 2016 than in 2014 while using the high-occupancy vehicle lanes (HOV) took just one minute longer. However, reliable commute times were much worse in 2016 for the general purpose lanes, taking almost ten minutes longer than in 2014. HOV lanes’ reliable time was just one minute longer in 2016 than 2014. Using the transit system, however, got quicker in both the mornings and evenings for the Everett commuters who work in Seattle. Unfortunately, the people who live in Federal Way and work in Seattle experienced significantly slower morning commutes and their evening commutes stayed about the same as in 2014. How Can the Increased Traffic and Congestion Affect Driving Habits? When people are stuck in traffic, and at risk of being late for work, they can get impatient. This impatience can lead to aggressive driving, such as tailgating and cutting in and out of traffic. These driving behaviors can lead to crashes and injuries. If you suffer injuries in a motor vehicle accident, Max Meyers Law can help. Call us at 425-399-7000 and we will evaluate your case at no cost.